It happens every night. You’re getting ready for bed, and before you know it…the dog has snuck in and is sprawled out over more than his fair share. A recent Mayo Clinic study says that nearly 20 percent of pet owners felt that their animal disturbed their sleep—but that number could be even higher! 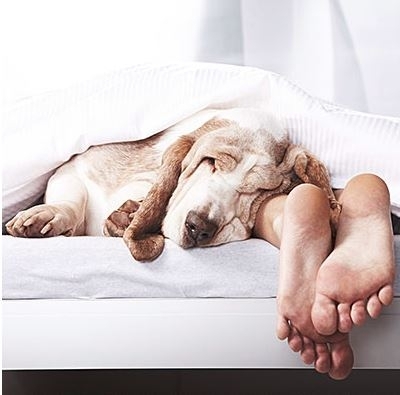 The good news is that there are lots of ways to retrain your pet or teach them good habits, helping you catch up on some much needed shut-eye.